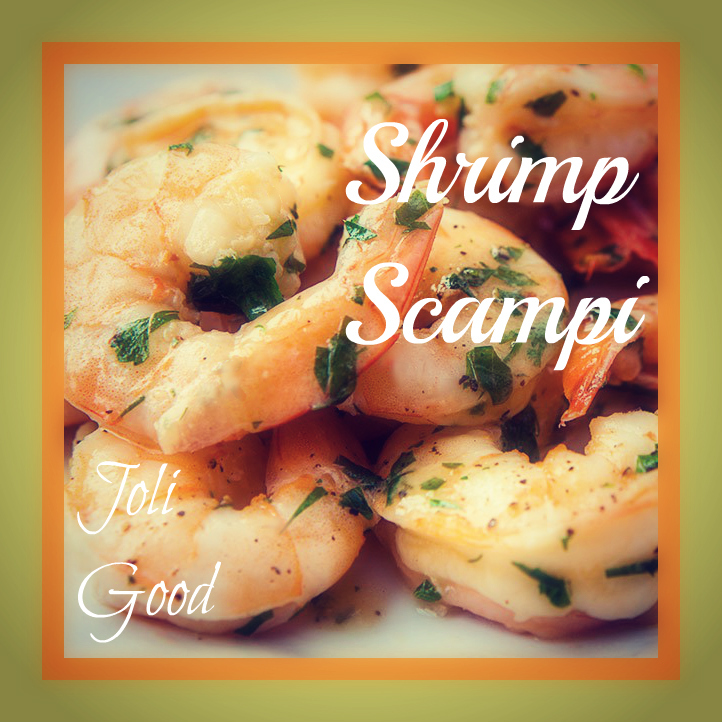 **You can use frozen raw shrimp, just defrost them quickly (and safely) by putting the shrimp in a large bowl of salted ice water about 1 1/2 teaspoons of salt for every quart of water. 1 Heat a sauté pan on high heat then decrease to medium high heat. Swirl the butter and olive oil in the pan until the butter is melted. Stir in the garlic and red pepper flakes. 2 Sauté the garlic for just until it begins to brown at the edges. 3 Add the shrimp, and then the wine. Stir coating the shrimp with the butter, oil, and wine. Keep the shrimp in an even layer in the pan. Increase the heat to high and boil the wine for two to three minutes. 4 Turn the shrimp over to be sure to cook evenly on both sides. Continue to cook on high heat for another minute. 5 Remove the pan from the heat. 6 Sprinkle the shrimp with parsley, lemon juice, and black pepper. Previous Post Freedom Isn’t Free! Next Post Be Social With Me! It is and simple too!